Telesat is one of the largest, most successful providers of satellite communications in the world. Headquartered in Ottawa, Canada, Telesat owns and operates a global fleet of 17 GEO satellites along with a robust teleport and terrestrial infrastructure that is seamlessly integrated with the fleet. With these high performing space and ground assets, Telesat provides reliable and secure communications solutions — nationally, regionally and globally — to broadcast, telecom, corporate and government customers worldwide. Telesat’s success has been driven by the company’s deep technical expertise, backed by an industry leading consultancy and R&D Lab as well as a customer-oriented culture that gives customers a strong voice in the development of new products and services. Relying on these capabilities, Telesat has established a long history of industry-leading innovation, both technical and commercial — a record that has spurred the company’s growth since its inception. In 2018, Telesat launched its Phase 1 LEO satellite: the start of a new global constellation that will revolutionize the delivery of high capacity broadband by leveraging Telesat’s patent-pending orbital architecture and global priority spectrum rights. 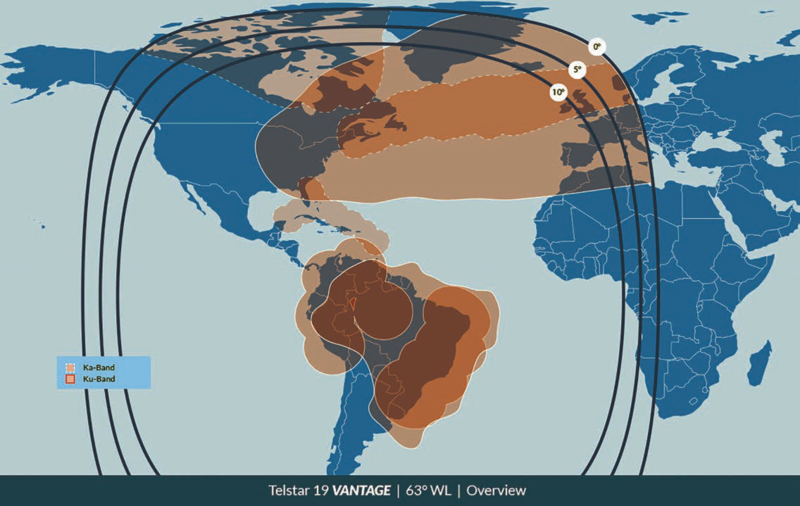 Also in 2018, Telesat launched two, new, High Throughput Satellites (HTS): Telstar 19 VANTAGE that serves growing consumer, enterprise and mobility markets across the Americas and Atlantic, and Telstar 18 VANTAGE that replaces and expands on Telstar 18 to meet growing demand for mobility, enterprise and telecom services across Asia Pacific. GEO HTS such as these deliver higher data speeds with lower rates to satellite markets worldwide, which have led to significant increases in global demand for satellite capacity — more than doubling the last five years in Gbps of delivered throughput, per Euroconsult. 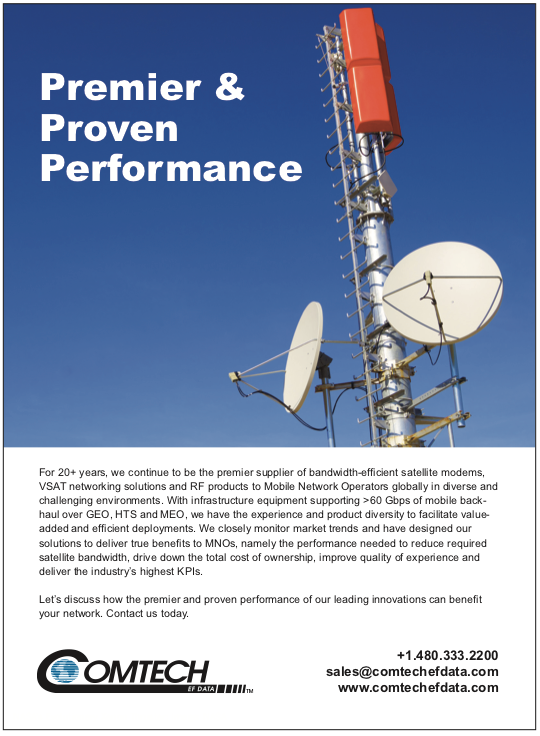 However, customer requirements are continuing to evolve, including the need for greater capacity, lower costs, and round trip latency on par with advanced terrestrial networks. 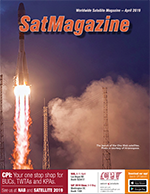 After discussions with major customers that serve some of the largest users of satellite broadband in mobility, telecom and government markets, Telesat concluded that within a few years, even terabit class satellites, operating in GEO or MEO, will not be able to provide the performance customers need to remain competitive. 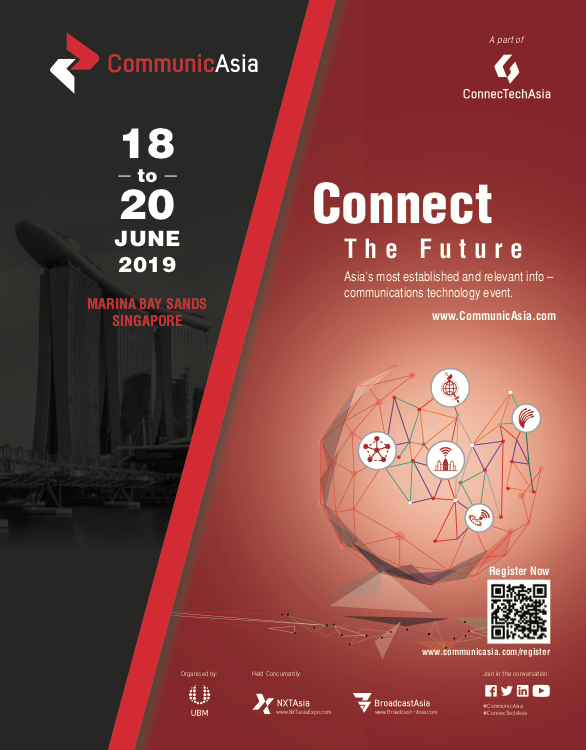 • Demand for broadband connectivity from customers in corporate, mobility, government and telecom markets is both accelerating and changing – customers increasingly require high throughput, low latency, improved resilience and increased security. 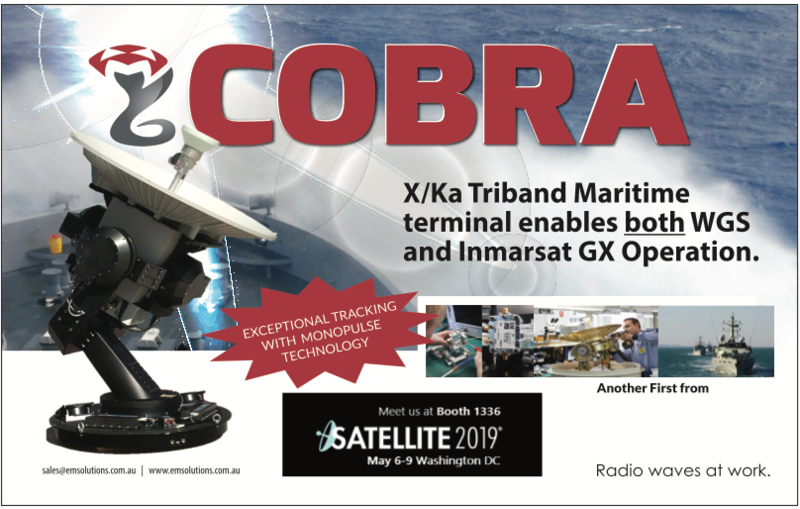 • Rapid advances in satellite technology are enabling deployment of new, space-based networks that can provide huge leaps in performance at far lower costs. the Americas and Atlantic. Infographic is courtesy of the company. • Completion of several successful on-orbit tests with Telesat’s Phase 1 LEO satellite. Telesat continues to evaluate customer needs as the design of the Telesat LEO constellation is finalized. The result of this design and development process is a truly innovative LEO system with a number of key performance advantages, as seen in the chart at right. 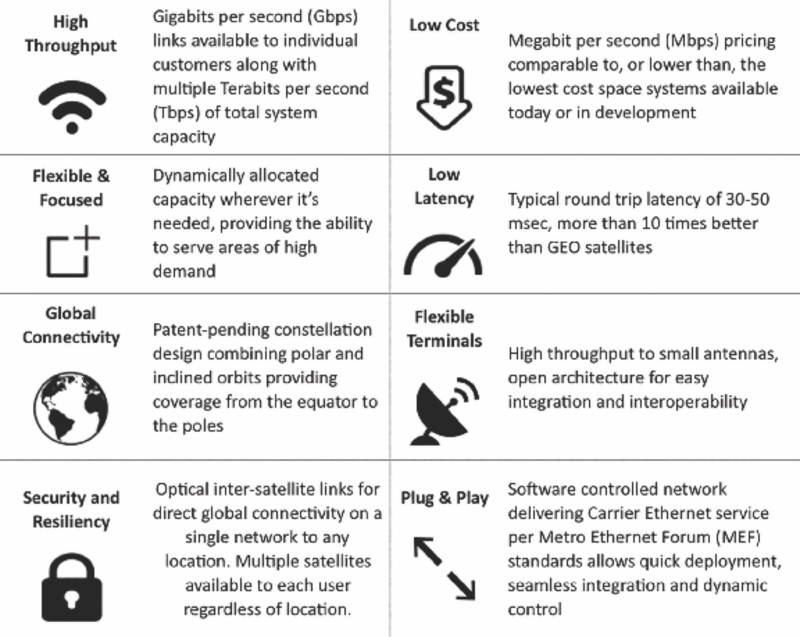 Among the most important advantages of Telesat’s LEO constellation is its compliance with Metro Ethernet Forum (MEF) standards. Telesat LEO will serve users anywhere on the globe that need fiber quality connectivity but do not have affordable access to fiber. Telesat will provide a wholesale service initially targeting mobility, telecom and government service providers. Telesat LEO’s unsurpassed combination of high throughput, low latency, affordability and full global coverage will allow aeronautical and maritime service providers to deliver an unsurpassed user experience to their customers, including vessels sailing the far reaches of the ocean and aircraft flying polar routes. Telesat LEO will also concentrate capacity into areas of highest demand, such as major airports and seaports, providing substantially more capacity than available from other systems. Nearly half of the world’s population lives outside urban areas where affordable and high quality Internet to the home or 4G/5G mobile networks may not be widespread. A critical gap is the lack of cost effective and quality backhaul connecting remote areas to the urban fiber backbone. Telesat LEO will be truly transformative by offering such a solution. Flexible deployment means underserved or unconnected communities will be on-air quickly, avoiding the long lead times associated with fiber or microwave deployments. Rural institutions (e.g., schools, hospitals) and remote enterprises (e.g., mines, factories) will have high speed connectivity just like their urban counterparts. In areas with fiber infrastructure, Telesat LEO will serve as a flexible back-up option to maintain connectivity during fiber outages. Benefits in terms of economic growth due to ubiquitous quality connectivity and improvements in education and healthcare would soon follow. 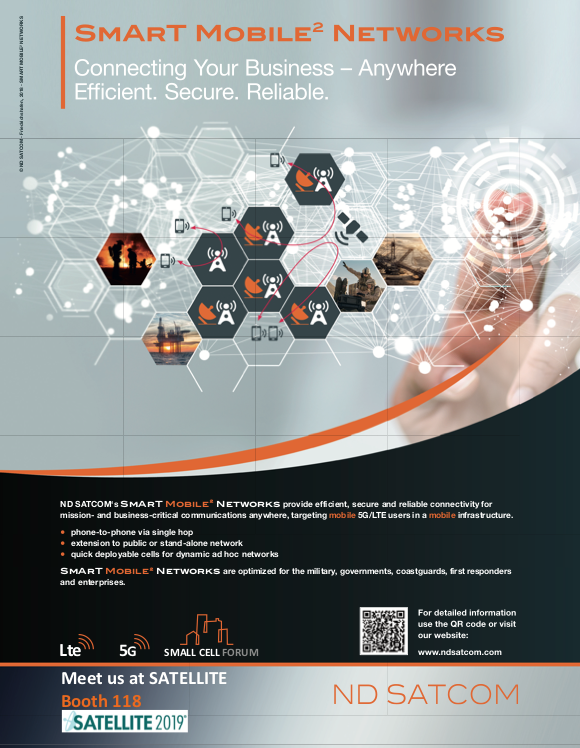 Defense agencies (e.g., U.S. Department of Defense (DoD)) are exploring innovative approaches to leverage the advantages of next-generation broadband LEO mega constellations, especially the low latency and high resiliency that results from their distributed architecture and full global, pole-to-pole coverage. Several programs have been launched to pave the way for this ‘pivot to LEO’ from traditional architectures. The DARPA Blackjack program and the Air Force Research Labs DEUCSI (Defense Experimentation using Commercial Satellite Internet) are investigating the promise of LEO broadband for a variety of missions. In addition, the government satellite market when served by advanced LEO constellations is expected to grow far larger than it is today. The expanded government market will include highly reliable broadband for defense as well as other sovereign applications (e.g., diplomatic communications, border control and protection). Telesat generated widespread interest in its LEO constellation in early 2019 by making announcements regarding partnerships with leaders in the tech industry. Telesat announced an agreement with Alphabet’s Loon to design a network operating system for Telesat’s LEO constellation. The operating system ensures that data is constantly flowing across the network, even as satellites and terminals change position and orientation. Telesat also entered into a launch services agreement with Blue Origin, a company founded and backed by Amazon founder, Jeff Bezos. This agreement paves the way for their powerful New Glenn rocket to play a key role in deployment of Telesat’s global LEO satellite constellation. New Glenn will provide Telesat with significant economies of scale as its LEO constellation is deployed early next decade. The agreement is flexible and non-exclusive, allowing Telesat to contract with additional launch providers. 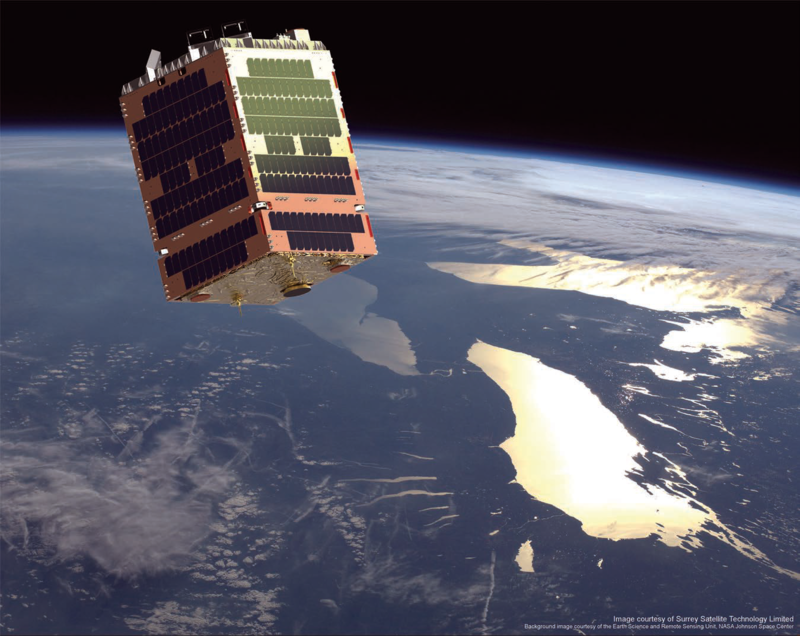 The Telesat LEO Risk Management Project announced mid-2018 with the selection of two contractor teams — Airbus Defence and Space and a consortium of Thales Alenia Space and Maxar Technologies, continues into this year. In January, both teams reported successful completion of System Requirements Reviews, furthering the system design and establishing a technical framework for the implementation and manufacturing phase of the program. Telesat expects to carry out a competitive proposal process and downselect to one of the two teams later this year. Beyond building a world class team for its LEO program, Telesat will advance its system design, and continue to conduct tests with both customers and supplier partners using its Phase 1 LEO satellite. Additional industry firsts and continued leadership are expected from Telesat and its LEO constellation in 2019 through the launch of the company’s satellites and service availability in the early 2020s.